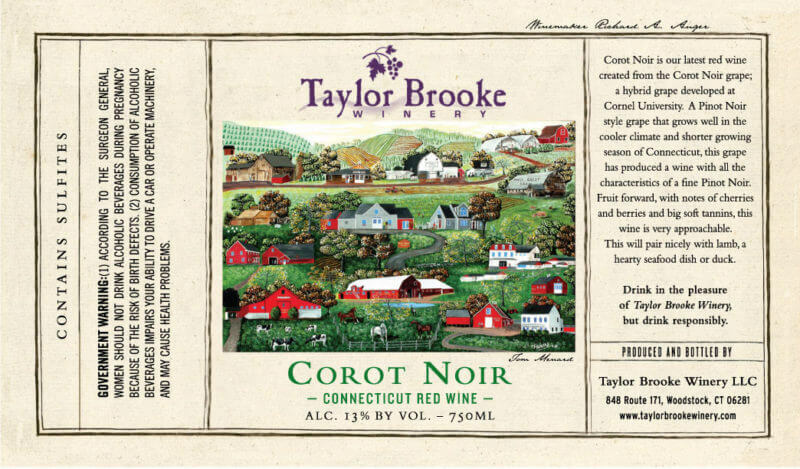 Corot Noir is our latest red wine created from the Corot Noir grape; a hybrid grape developed at Cornel University. A Pinot Noir style grape that grows well in the cooler climate and shorter growing season of Connecticut, this grape has produced a wine with all the characteristics of a fine, Pinot Noir. Fruit forward, with notes of cherries and berries and big soft tannins, this wine is very approachable. This will pair nicely with lamb, a hearty seafood dish or duck.